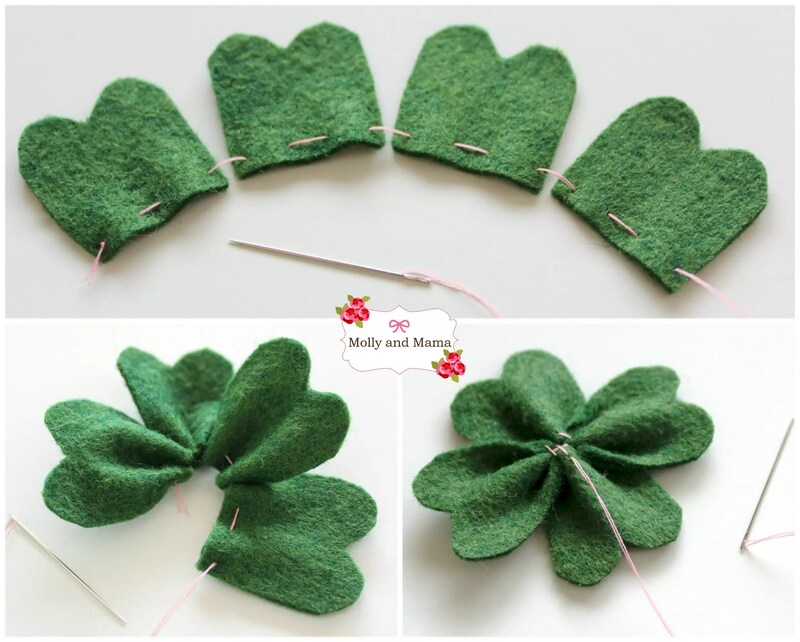 This little project is perfect if you’re looking for a little shamrock inspired nod to Saint Patrick’s day. You’ll have your four leaf clover for luck, without having to go head-to-toe in green! 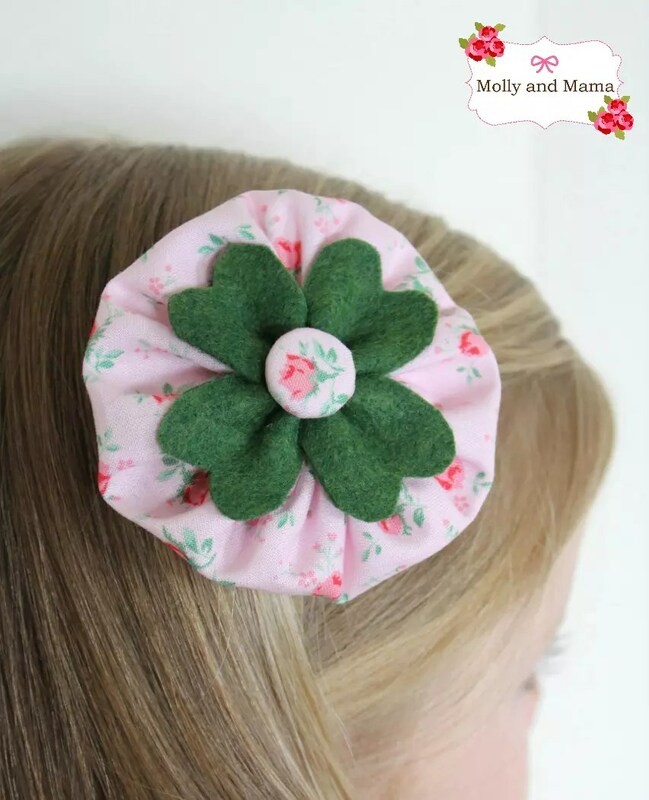 All you need to do is make a felt shamrock, sew a yo yo to sit it on, and add a hair clip to the back. 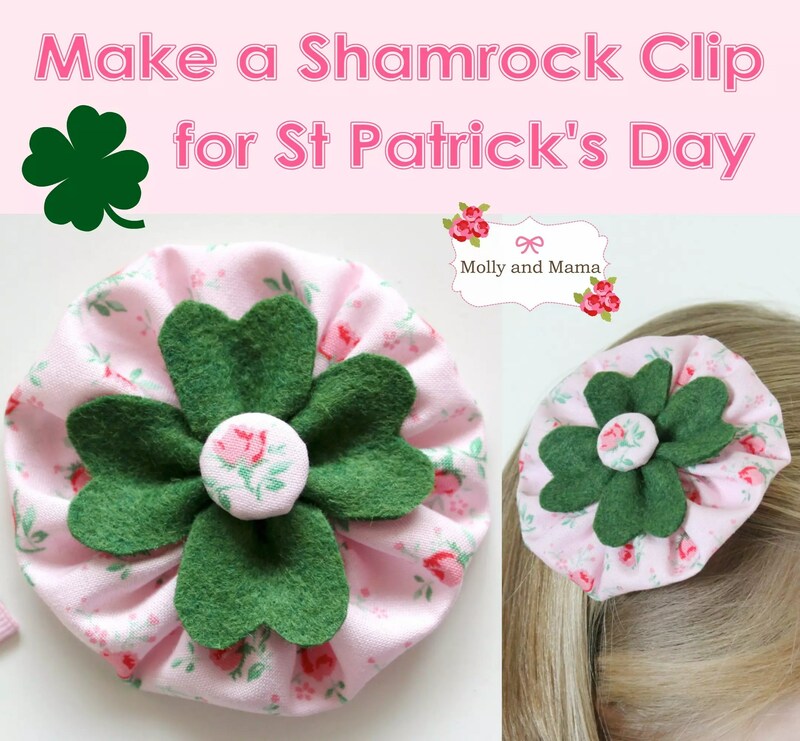 This shamrock clip really is the most simple craft project! 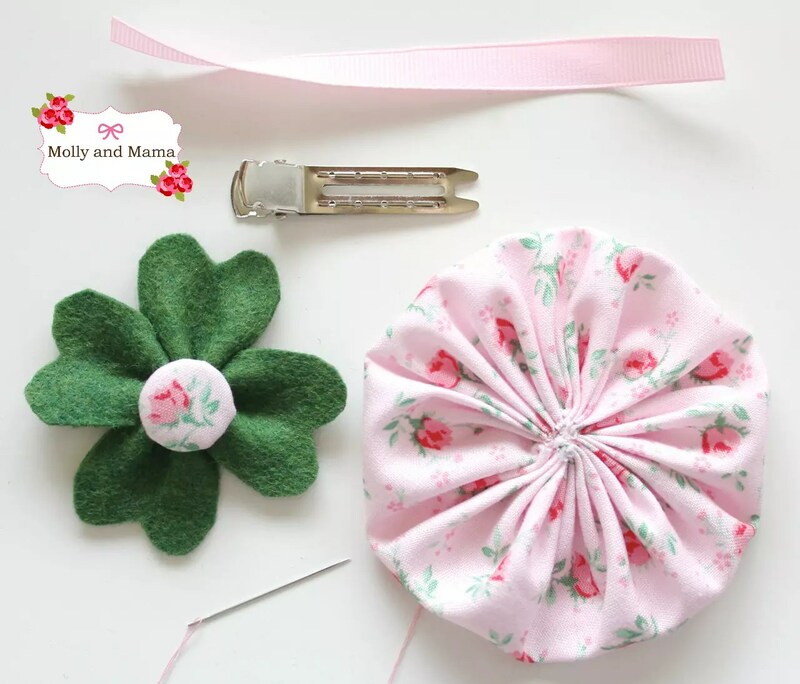 And if you’re after something similar, but a little more adventurous, you can sew the shamrock pin cushion using the tutorial HERE. There are three stages to making these gorgeous clips. First you need to create the four leaf clover. Nothing could be simpler! And the image below really makes it clear. You’ll need to have a lined alligator clip ready to attach to the back of your yo yo. And guess what? I’ve got a tutorial for that too! You can head over HERE to find out how to make a simple bow and cover an alligator clip at the same time. 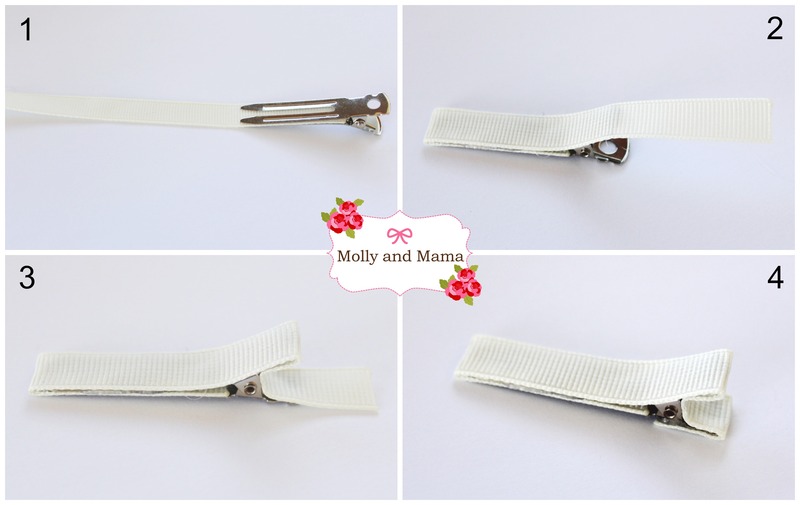 But here’s the short version; Take your 12cm length of heat sealed ribbon and attach it to the 48mm double-pronged alligator clip using a hot glue gun. The numbered pictures below really demonstrate how I do this stage. Just remember to work quickly but carefully with hot glue! First, stitch your shamrock securely onto the centre of the yoyo. Glue the fabric covered button on with a small dab of hot glue. Then attach your clip to the back of the yo yo. Press a line of hot glue onto the top of the clip. Turn it over and gently press it into place on the yo yo back. At this stage it’s important to consider which direction you’re placing the clip on the back. 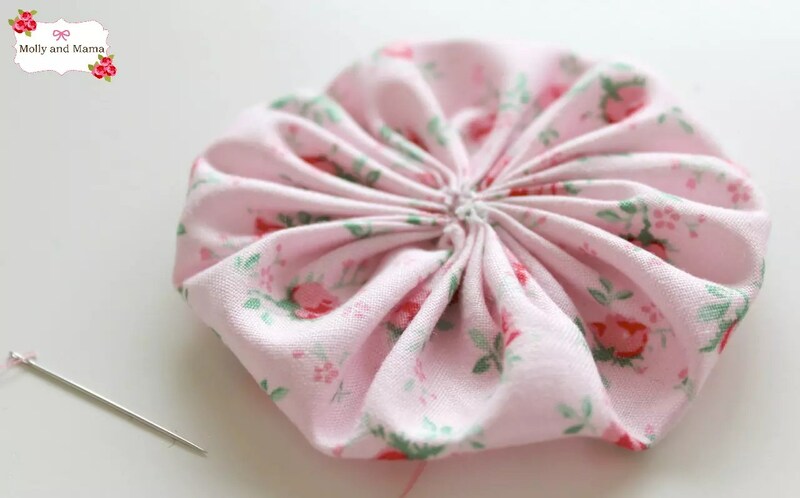 Does the fabric pattern on your yo yo or button embellishment have to face a certain way? You’re all done! Were you surprised by how simple it was? You could wear this as a hair accessory or add a brooch clasp instead. The beauty of this piece is that it can be worn all year round! But it has an added touch of luck for Saint Patty’s day! 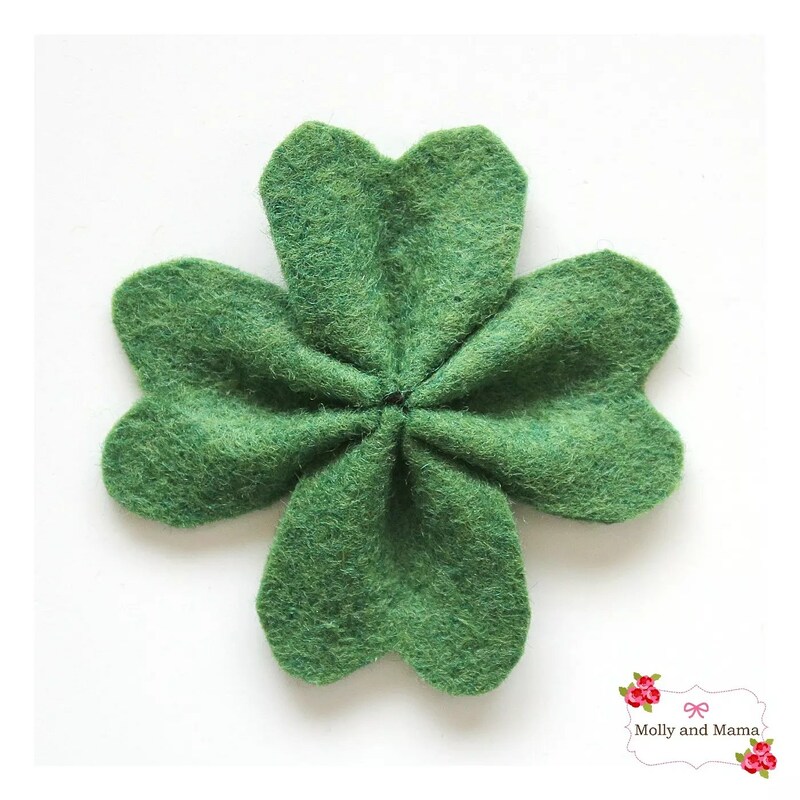 For more St Patrick’s inspired craft you can visit the tutorials for 2 pin cushions HERE and HERE. Wishing you all the luck in the world on the 17th March! Thanks for sharing Anne. I really appreciate the support! 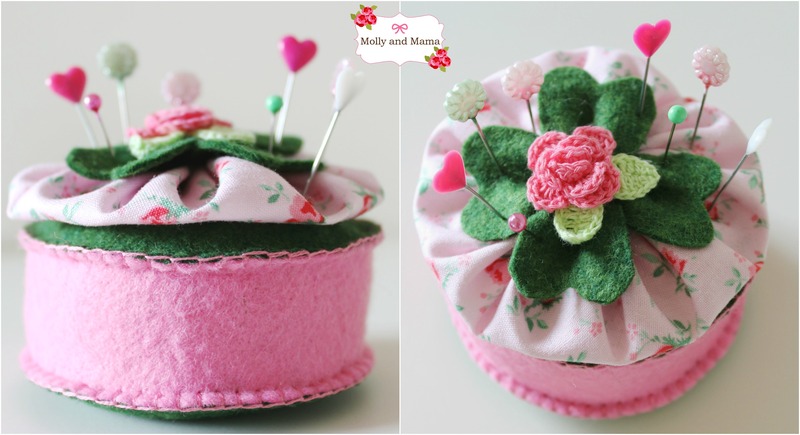 Absolutely love this pin cushion! What fabric did you use for the yoyo? That rosebud print is wonderful!!! I hope it’s still available somewhere! I love the different versions you made! All so pretty! My wonderful sister gifted me the book and I’d like to make some for Christmas gifts! Thank you Gayle. I’m not sure of the fabric name sorry. I hope you enjoy sewing projects from my book! Thanks, Lauren.